when the world is mud-luscious. The artwork is a brilliant combination of techniques used in the following way: traditional block prints cut in linoleum, and printed in black on white stock; the images were converted to digital format through flatbed scanning; watercolor layers were added using Corel Painter, and Adobe Photoshop, computer software for digital illustration. The imagery cleverly changes from dark and gloomy winter scenes to bright spring scenes bursting with color. 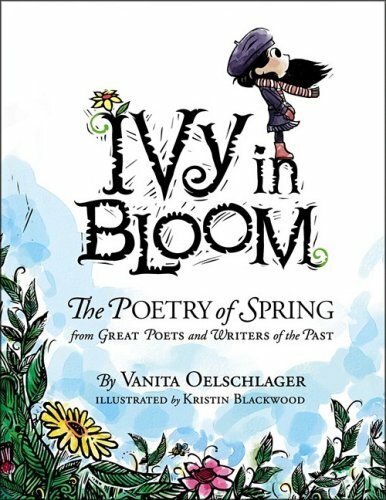 Kristin Blackwood’s illustrations are precious and unique — Ivy is as cute as a button. A wonderful book all-round. A review by Heartland Reviews. This book looks really amazing!! You’re welcome! It’s a lovely book with great illustrations.